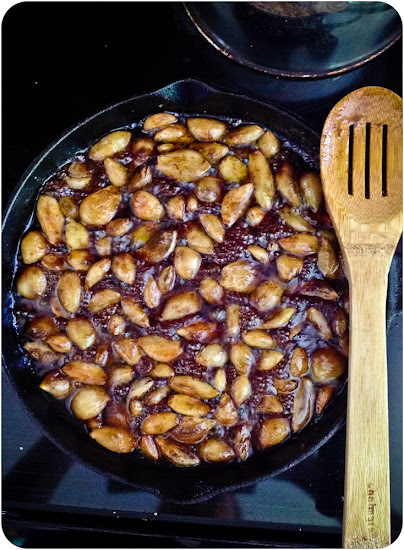 Several days ago, I saw this beautiful glazed brown garlic on Pinterest and clicked through to find a post on preserving garlic. At first I couldn't quite see the usefulness since garlic keeps pretty well once dried. 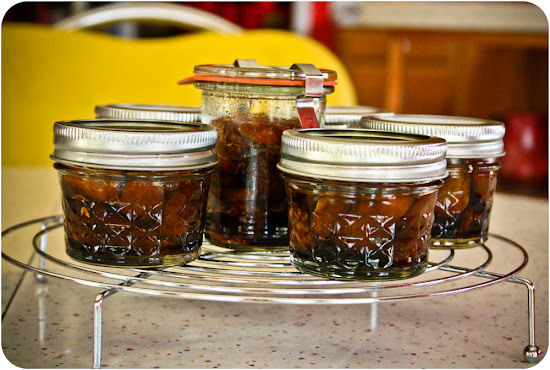 But the more I got to thinking about it, how wonderful would it be to have small jars of caramelized garlic ready for a pizza topping or to add flavor to soup or a vegetable dish. 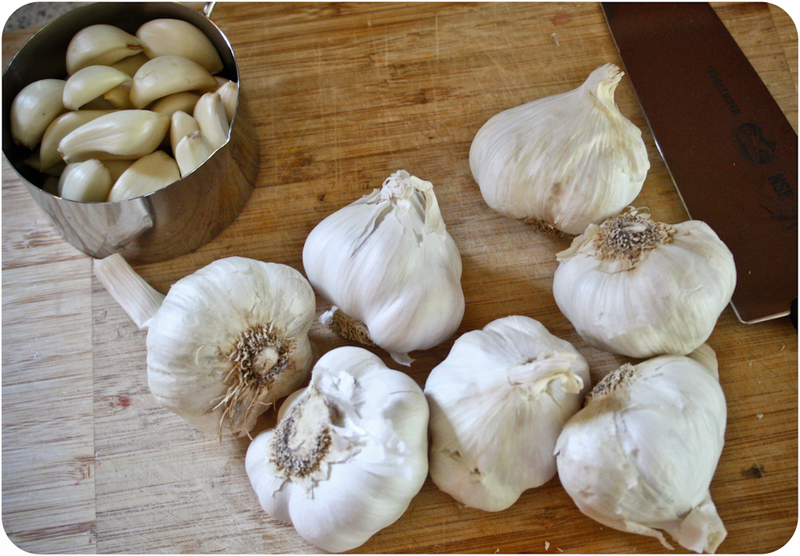 I did neglect to account for the amount of time it would take to peel all that garlic. I have heard that using 2 stainless steel bowls to make a sphere and shaking vigorously will peel the garlic much more quickly, but I only own 1 stainless steel bowl. Will this trick work with other bowls? If not, I'm not sure how eager I am to replicate this particular adventure. The aroma of sherry vinegar and caramelizing garlic was almost enough to make me forget about the hour spent peeling. 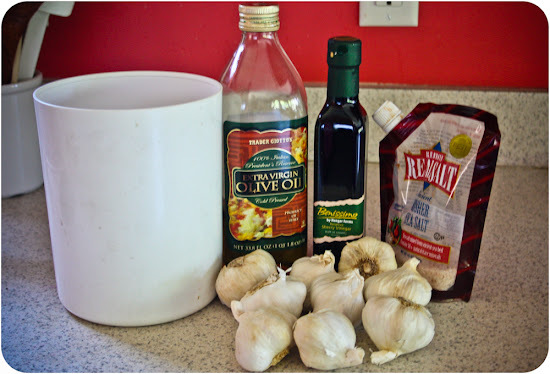 I also didn't realize that I'd need my pressure canner for garlic. (Another reason I should read the ENTIRE recipe before beginning.) I wasn't in the mood to dig out my large canner from the garage just yet. (Once it's inside, it generally stays in for the summer, and I'm not ready to lose that interior space yet.) I decided to use my little 4 quart pressure cooker, which has an insert for the bottom. This meant using 4 oz (ish) jars though so they wouldn't be too tall. I managed to get 6 jars out of this batch. I did notice that some of the oil oozed out of the jars during the canning process. 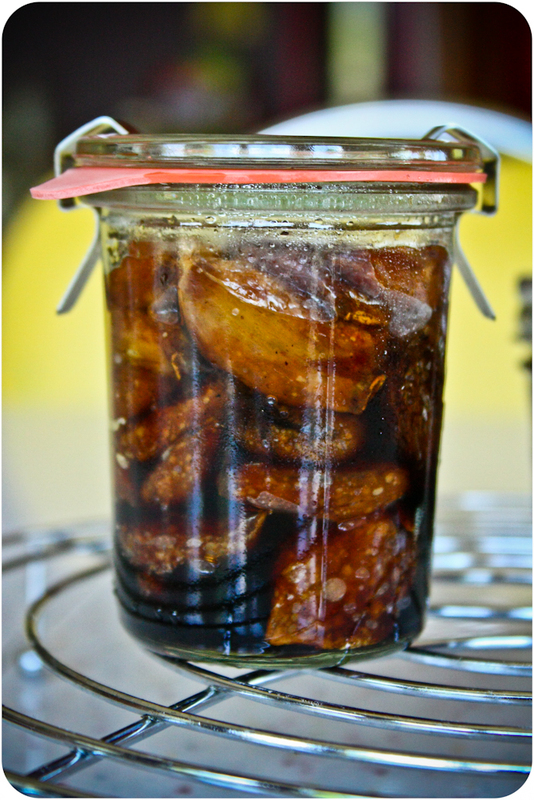 It seems like the lone little weck jar might have been the culprit. It wasn't much oil, but it made a mess, of course! 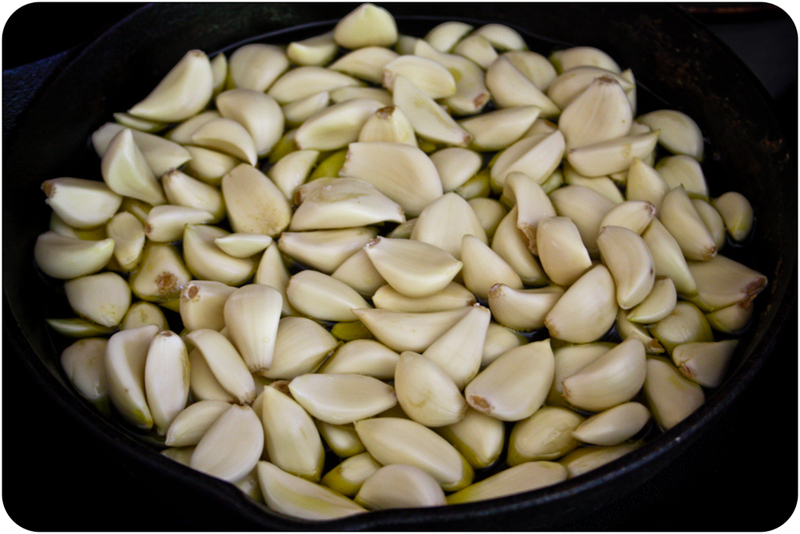 That garlic looks soooo good! I need to buy a pressure canner, but I am not sure I have space for one! Save one for me, ahem. Or two.